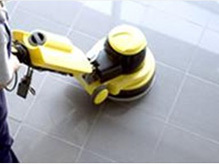 KarpetMaster - High Speed Buff Tile Cleaning....the "Turbo Force" Way! Friendly, Experienced, Service Every Time! All stone, tile and grout are alkaline. So the safest way to clean stone and tile is to use a pH neutral or alkaline product. 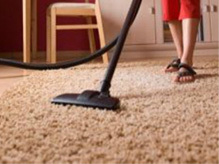 Karpetmaster use of cleaners that vary from pH neutrals, to alkaline heavy-duty degreasers. All are designed for safe use on any stone or tile surface. 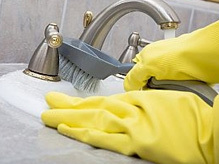 Cleaners that contain acid, bleach or vinegar should never be used for regular cleaning. Without a sealer, porous stone, tiles and grout will stain almost instantly. Sealers although not impenetrable, work by providing reaction time to enable the removal of the offending contaminants. Karpetmaster provides and uses a range of sealers offering different reaction times against a variety of contaminants. Stone and tile areas may exhibit specific problems such as efflorescence, grout residue, wax coating and mineral staining etc. 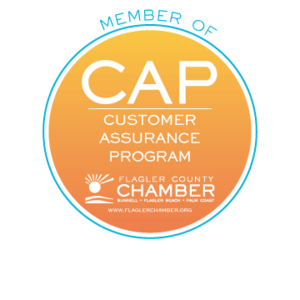 Karpetmaster can solve these issues as safely and effectively as possible. Karpetmaster uses a range of safe and technically advanced products that are world- renowned. We are proud of our technology and the products we use, but do not take our position for granted. You can rest assured that the Turbo Force method tirelessly pursues state-of-the-art technology, so we can continue to provide for all your stone and tile protection and maintenance needs. We remove the dirt, grime and bacteria trapped in the pores of your tiles and grout using advanced safe releasing agents and a self-contained high pressure steam cleaning system that at the same time extracts the dirt off the floor leaving your tiles dry, sanitized and sparkling clean. The results are amazing!! We at Karpetmaster have a team of technicians trained in the cleaning and sealing of natural stone, so we can clean the tile and grout to expose its true beauty in preparation for sealing and minimize maintenance. 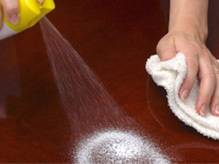 We use cleaners formulated especially for, and safe for, natural stone. Tile Cleaning....the "Turbo Force" Way! Whether the installation is natural stone, porcelain, ceramic tile or grout, each type of surface has unique properties and unique needs for care, maintenance and protection, making it critical to know which products to use and how to use them. The proper sealers, cleaners and other care products are an integral part of preserving the natural beauty of these surfaces and the Turbo Force system offers a professional service to address these unique needs.